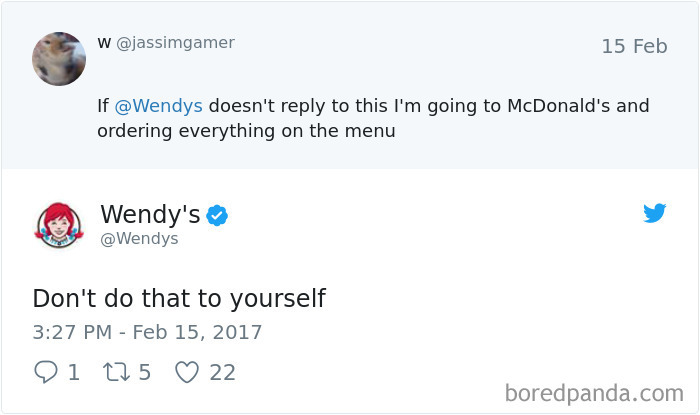 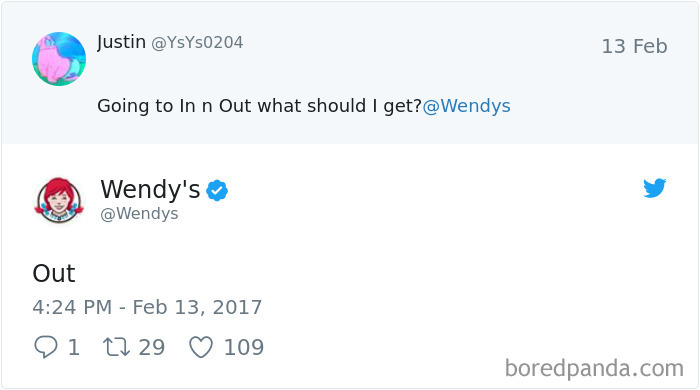 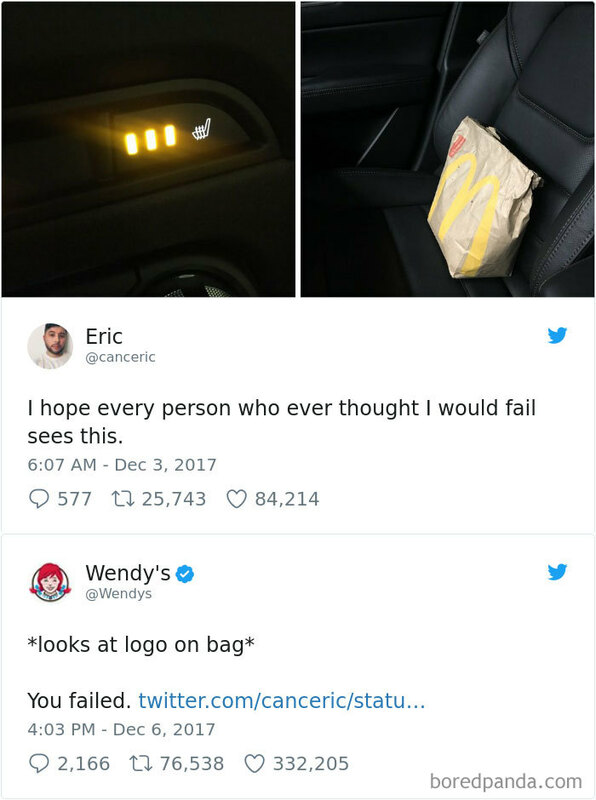 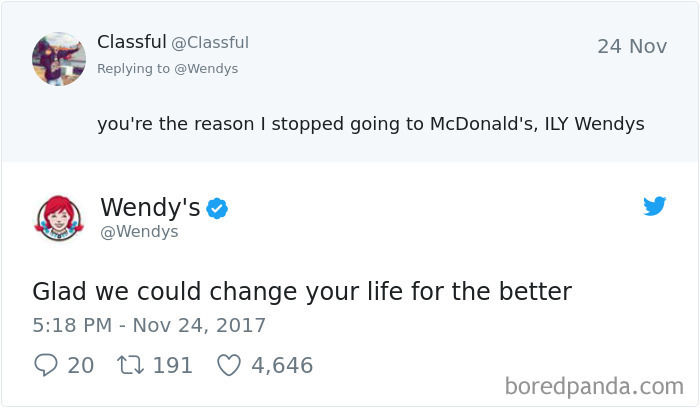 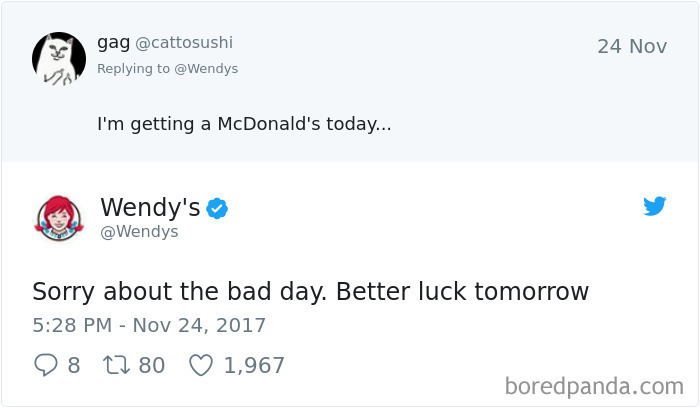 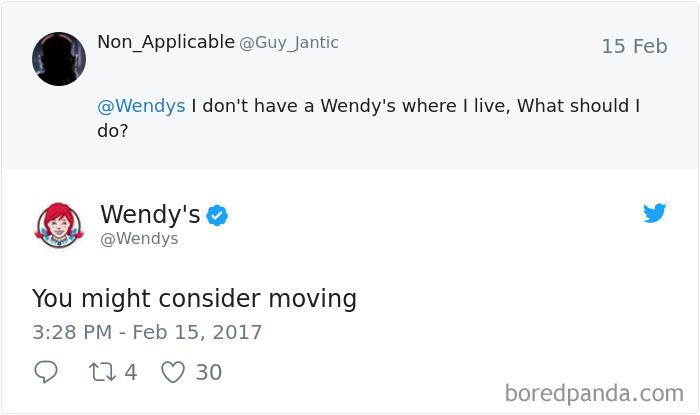 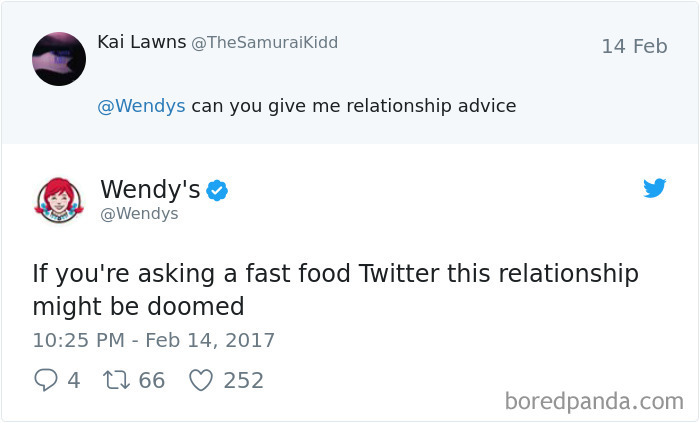 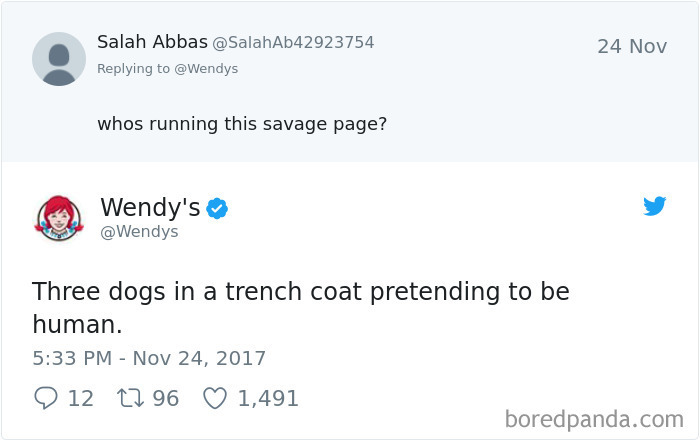 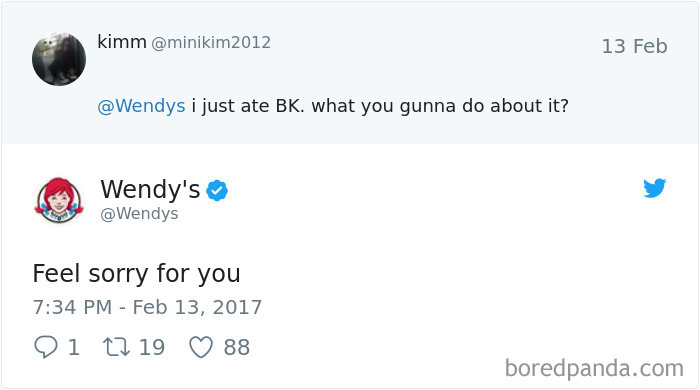 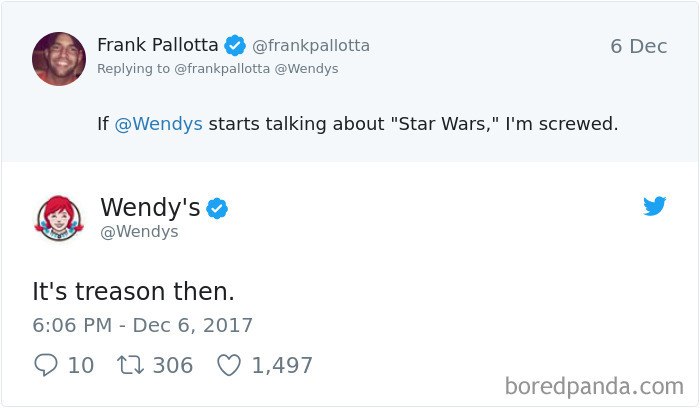 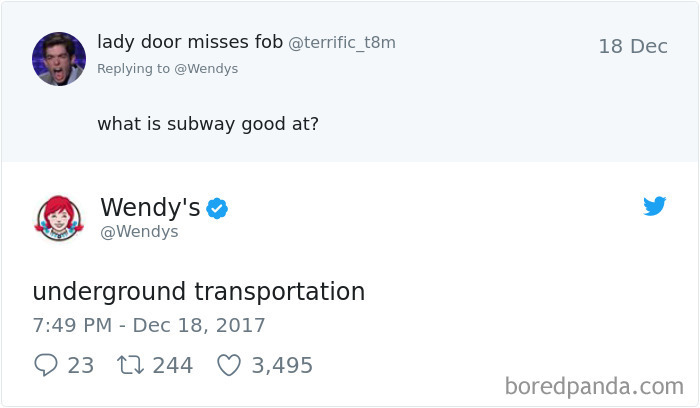 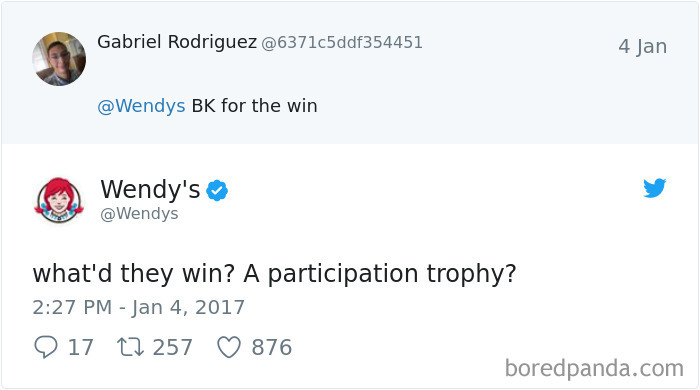 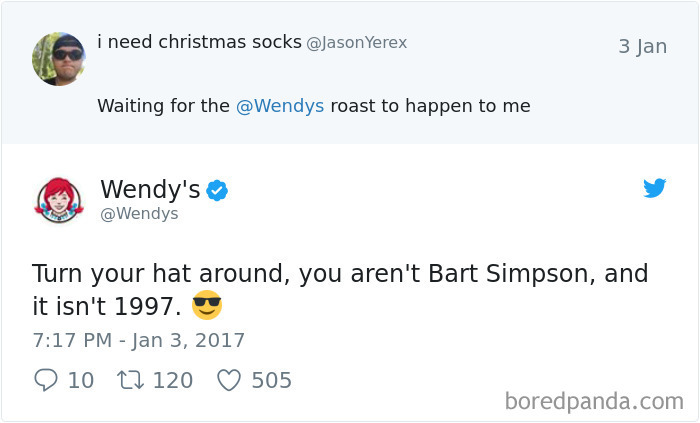 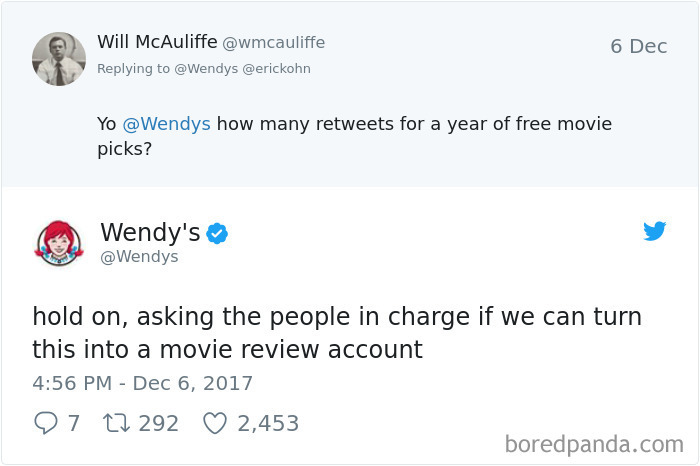 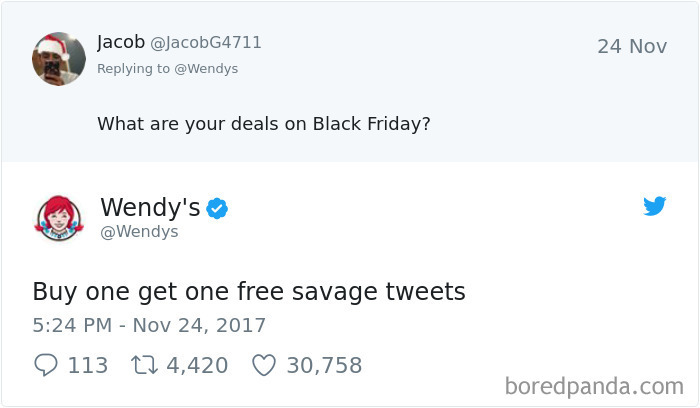 Wendy’s may not be your favorite fast-food chain, but by now, they’re probably your favorite Twitter account. 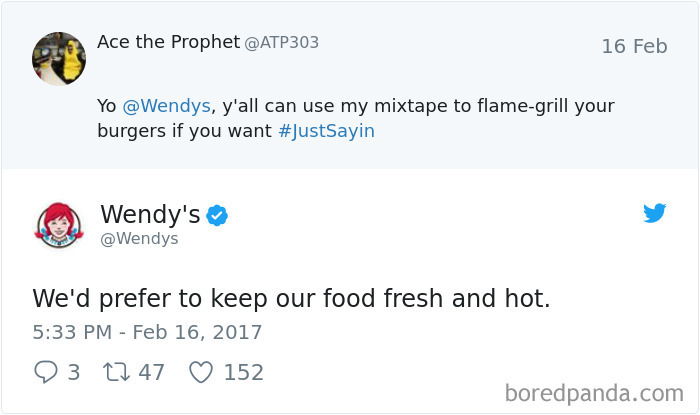 The burger joint has gone viral over the last year for their absolutely ruthless comebacks, rivalries with other restaurants, and mixtape-worthy rap bars – and they’re still going. 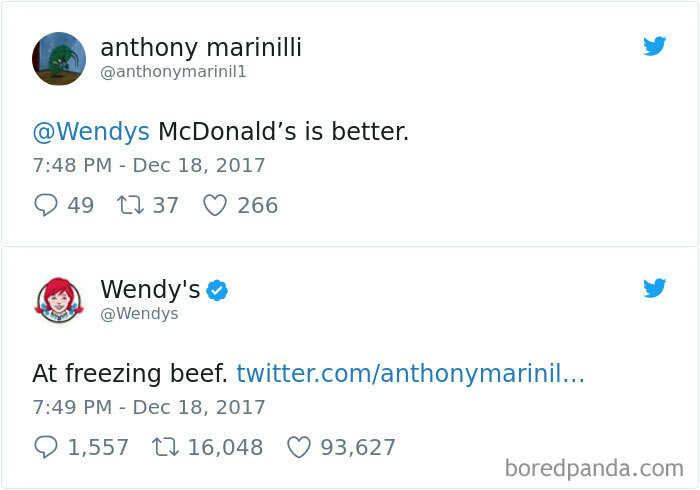 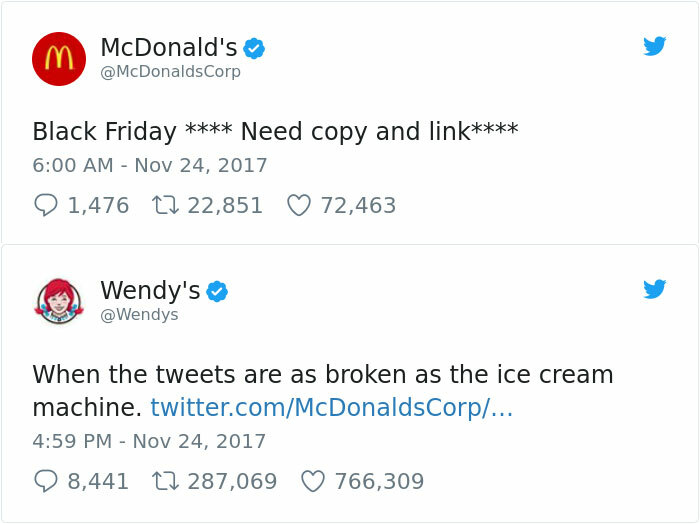 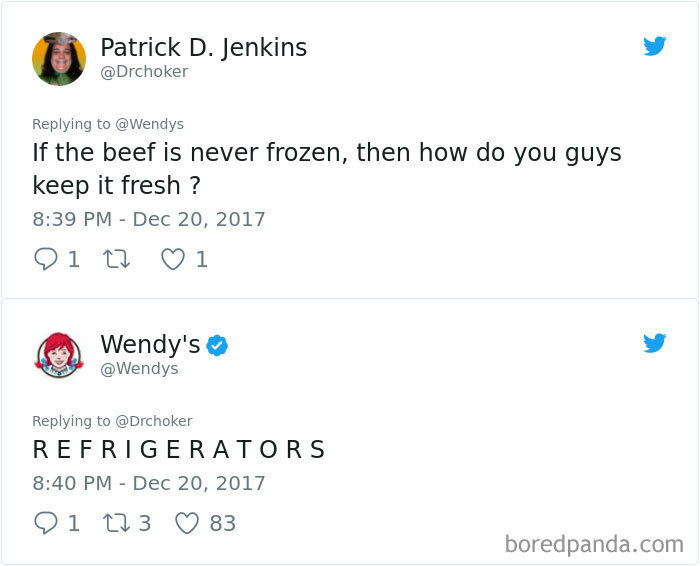 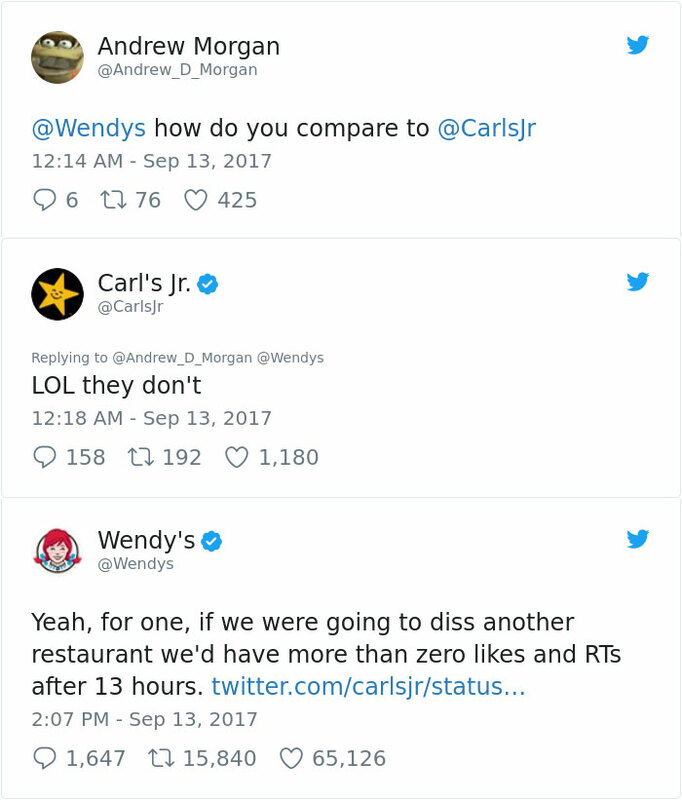 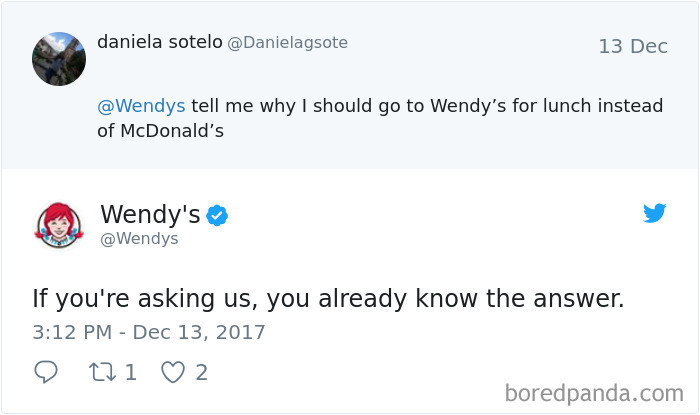 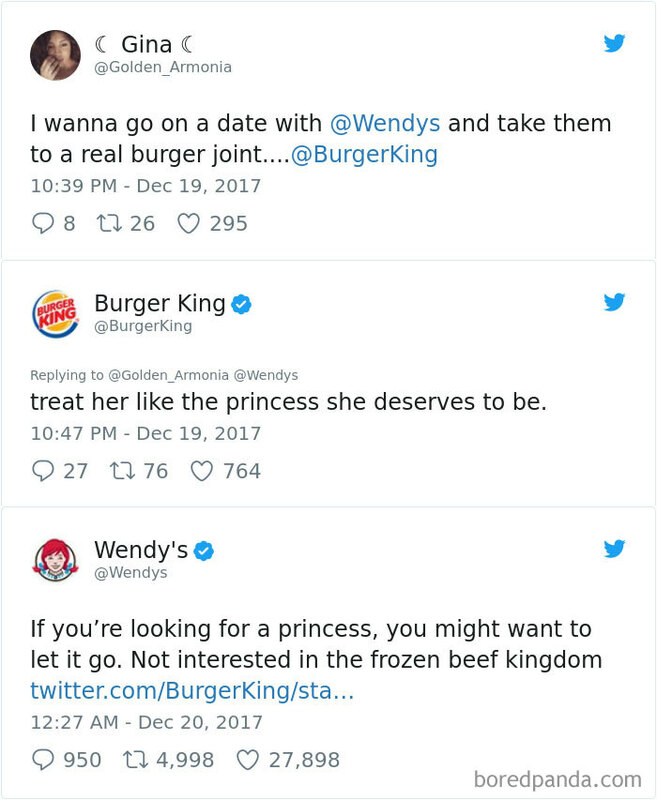 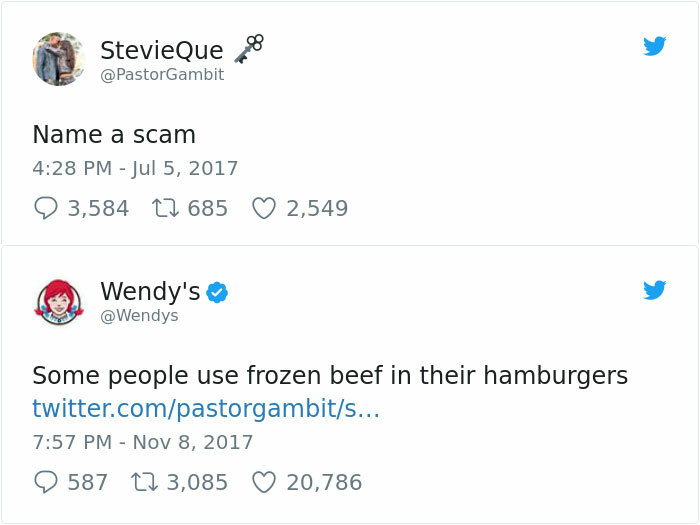 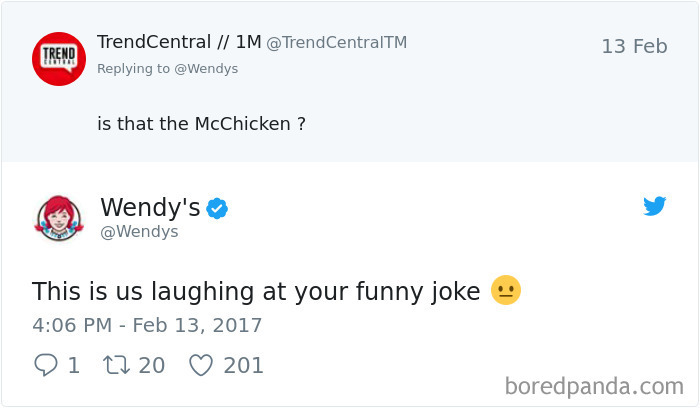 It all started back in January when Amy Brown, social media manager for Wendy’s, was going through recent user comments on the company’s Twitter, and came across a particularly dim-witted jab against their ‘fresh, never frozen’ meat policy. 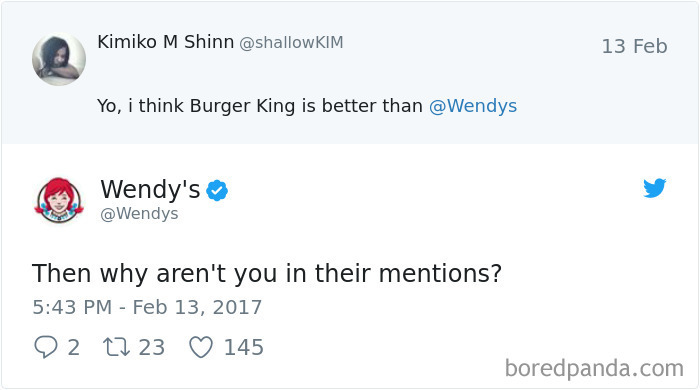 Her response was golden, and people found the sassy break from corporate mumbo-jumbo both hilarious and refreshing. 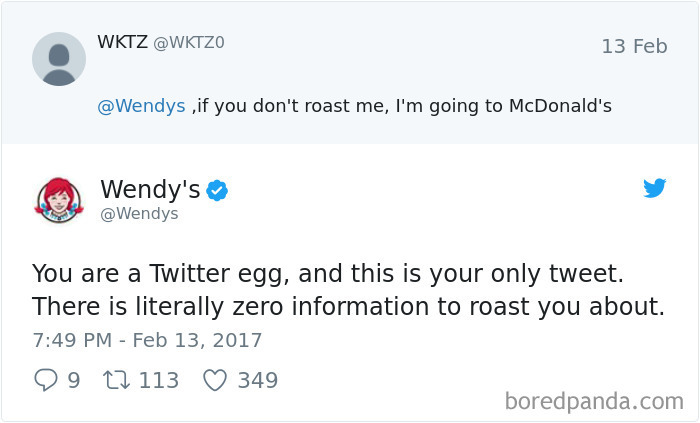 From then on, Wendy’s was not only a place to get a good burger, but a force to be reckoned with, and is now more likely to drag someone with a single tweet than Chrissy Teigen. 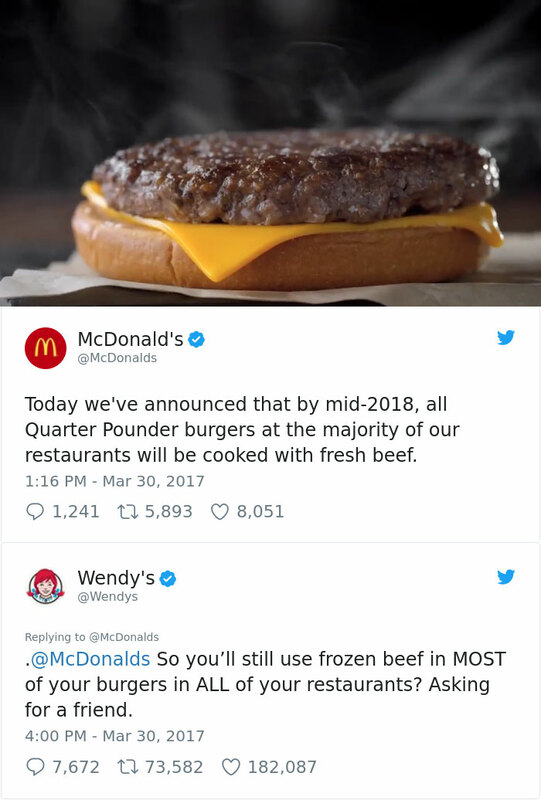 Scroll down to see the raw carnage for yourself, and be sure to vote for the burns that no Frosty could cool. 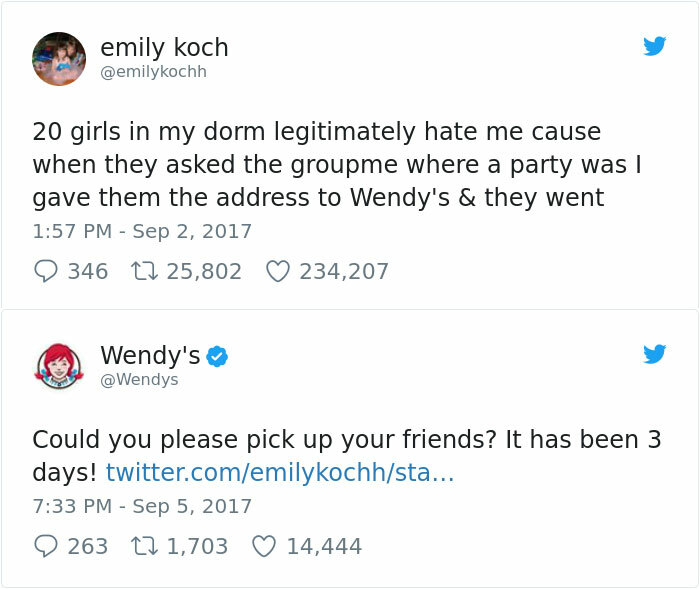 Ellen DeGeneres Reunites Superfan With Navy Boyfriend & It Will Absolutely Give You The Warm & Fuzzies!